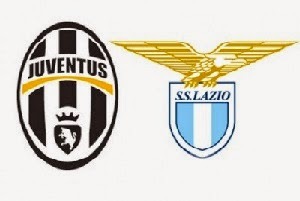 The first and the second in Seria A.
Juventus has twelve points more than Lazio. This gap is too big to overcome and with eight rounds left till the end of the season Juve will play more relaxed. They have lost the last round against last placed Parma, which proves my point. Next week is the rematch against Monaco. So Alegri will rest some of his best players for the Champions League. Lazio on the other hand is in great form. They have took over the second place from their city rival Roma - place which brings direct qualification for the Champions League. Lazio has seven straight wins with 18 goals scored and only 2 conceded. Parolo and De Vrij were injured against Empoli, but still nothing to worry about.